Let it be known that while we here at est are big fans of an immersive spa session, we don’t get to indulge as often as we’d like. Blame it on the busy schedule – between everything else to fit into a day, taking time out to simply unwind and refresh is hardly a priority, particularly when it involves booking in advance. Recently however it seems that designers have heard our prayers with the range and style of ‘home spa spaces’ on the definitive rise. 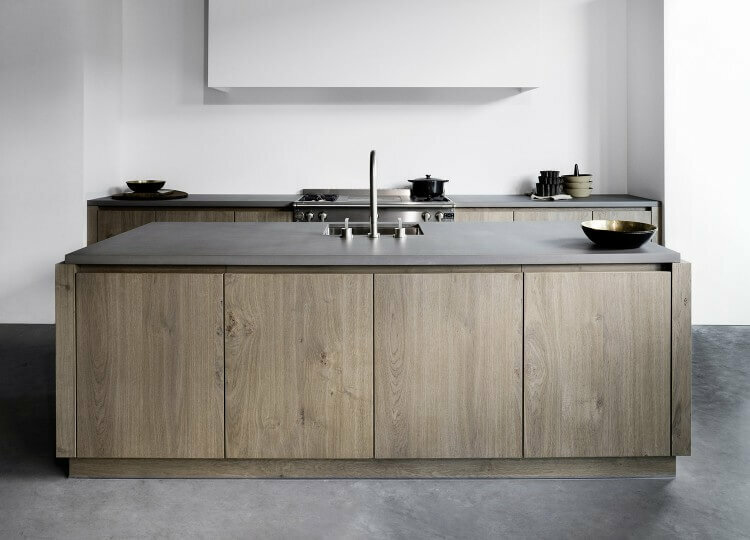 From London to Finland to Sydney, we’ve been eagerly devouring new home spa spaces, from sleek soak-ready baths to fully-fledged home saunas. To inspire your own home bathroom sanctuary, we’ve curated some of our recent favourite spaces and products for cultivating a spa experience, without leaving the home. 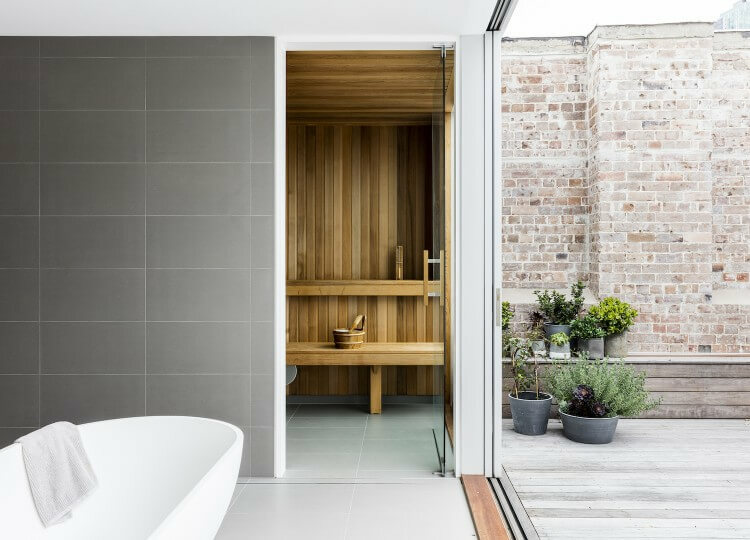 This Surry Hills apartment by Josephine Hurley Architecture makes excellent use of its rooftop with this bathroom opening up to the deck. Whether you prefer to soak in the tub or sweat it out in the sauna, it’s a luxurious retreat from the urban hustle below. For creating an instant spa aesthetic, the Sublime Bath is a timeless piece that injects luxury into modest and expansive spaces alike. Well-proportioned with significant depth, it is available in a multitude of stone finishes to match your bathroom aesthetic. As an entrenched part of the Scandinavian health regime, the traditional sauna is still often a feature of many local homes, like this Finnish apartment designed by Joanna Laajisto. Using the traditional hot-coal approach, it’s easy to build into a daily ritual. 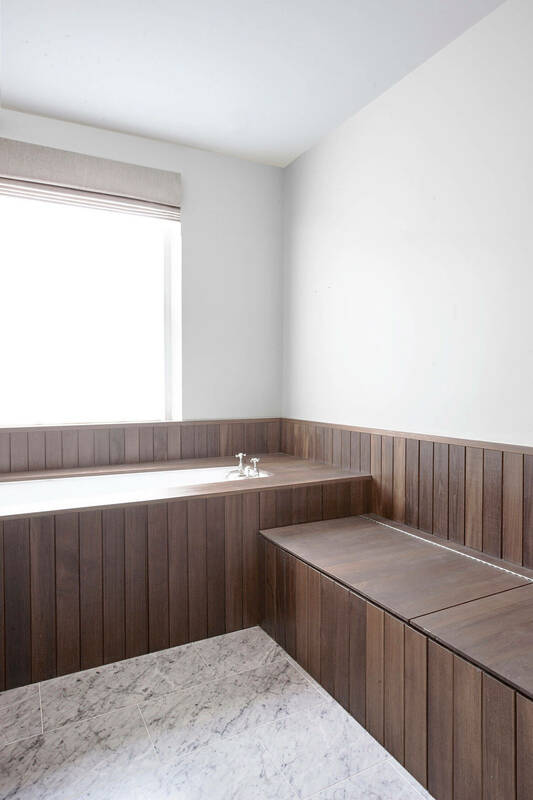 One of our favourite features in this London home by McLaren Excell was the light-filled bathroom, complete with a built-in bath in prime position. 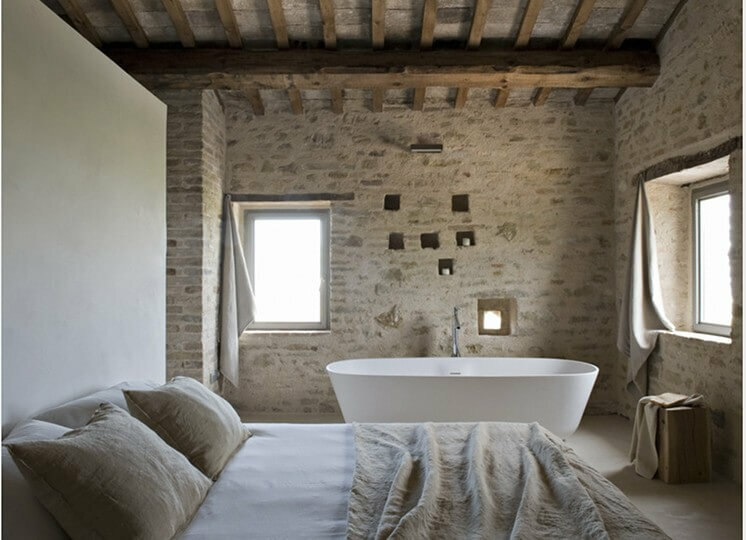 The timber panelling frames the tub and contrasts nicely with the stone tiling – but the wide window draping the space in natural light is our favourite element. 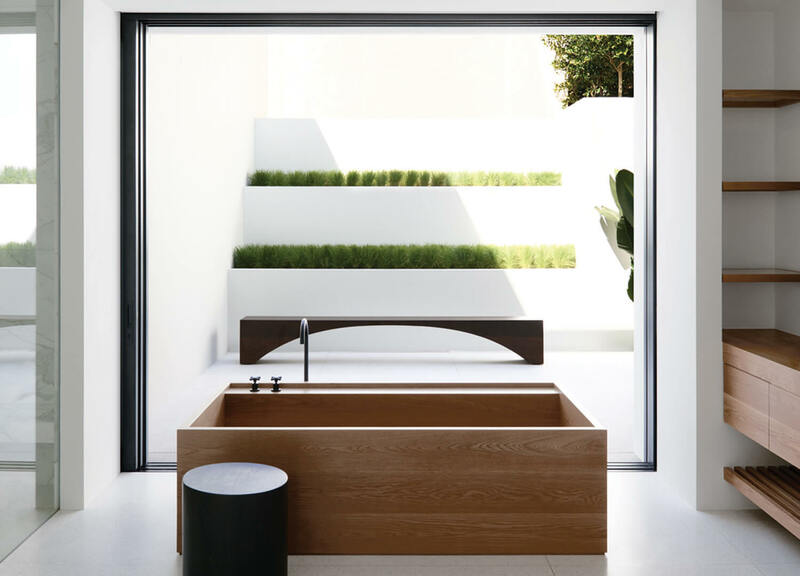 The timber details and touches of greenery elevate the bathroom of this Sydney home to a special space. 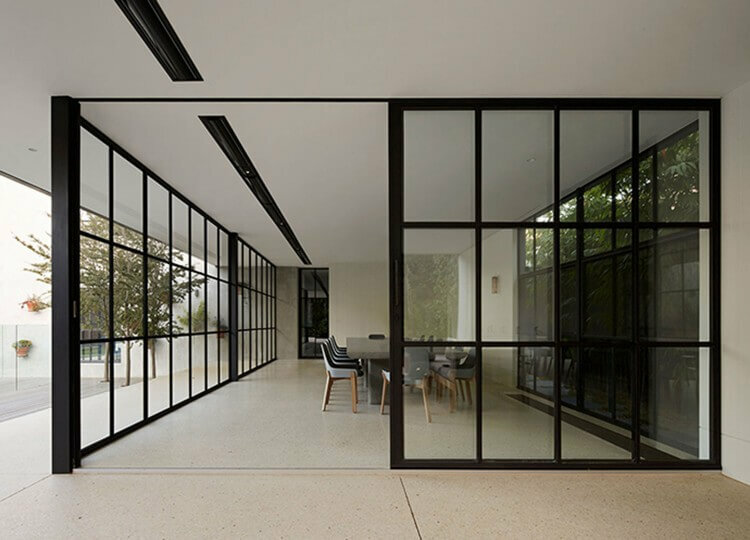 We love the thoughtful way the outdoor courtyard has been integrated not just for light but for a tranquil view, creating a refined retreat within daily spaces. 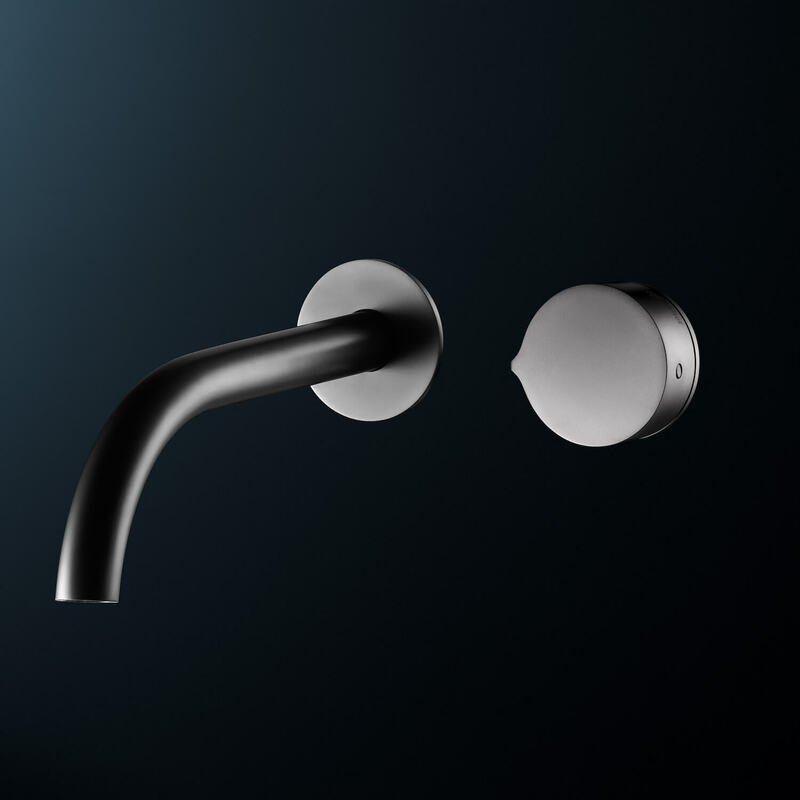 Whether you’re pushed for space or simply taking things close to the window like the above London home, the Eccentric Progressive wall mixer is a sophisticated addition to the bath set-up. We particularly like the rose copper for a touch of feminine elegance. Keen to recreate a similar look? 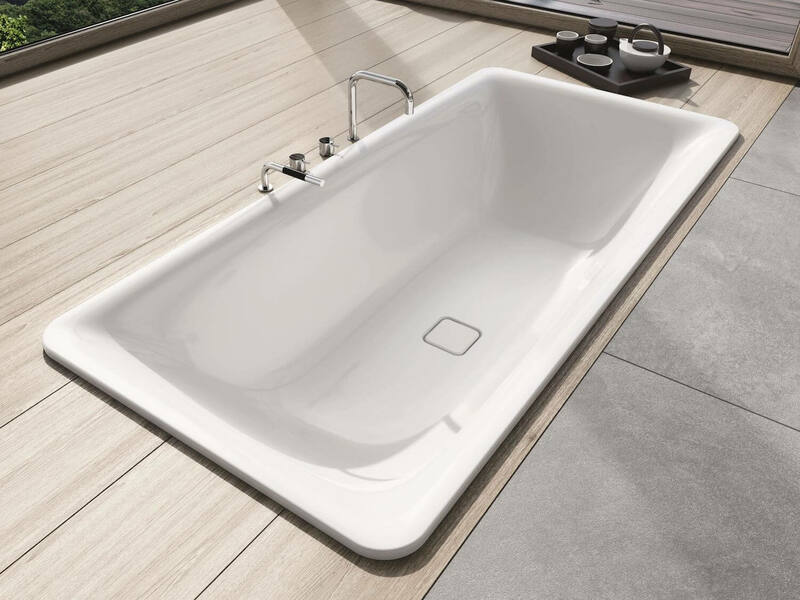 The Kaldewei Incava bath is a timeless take on the built-in bath, its high wall and subtle framing creating an immersive effect. With a range of sizes to choose from, you can decide how immersive you want to go. 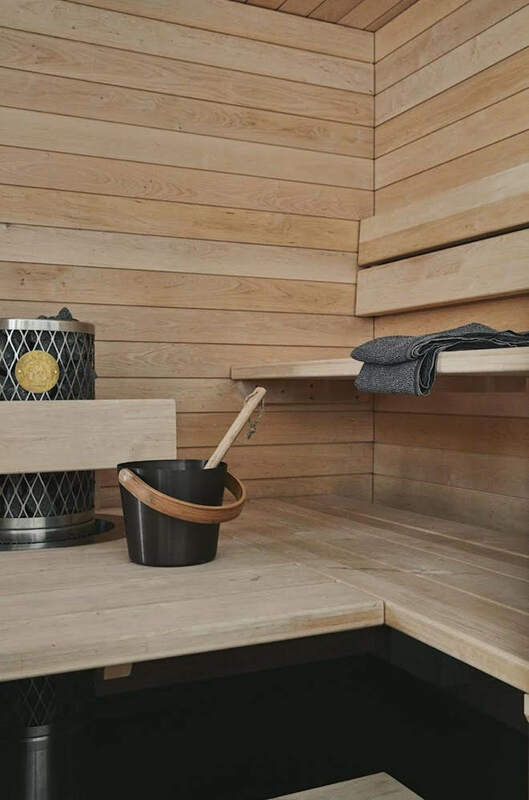 This is the Rolls Royce of home bathroom sanctuaries – your own home sauna, every bit as aesthetically pleasing as the traditional spaces but without the labour-intensive set-up. 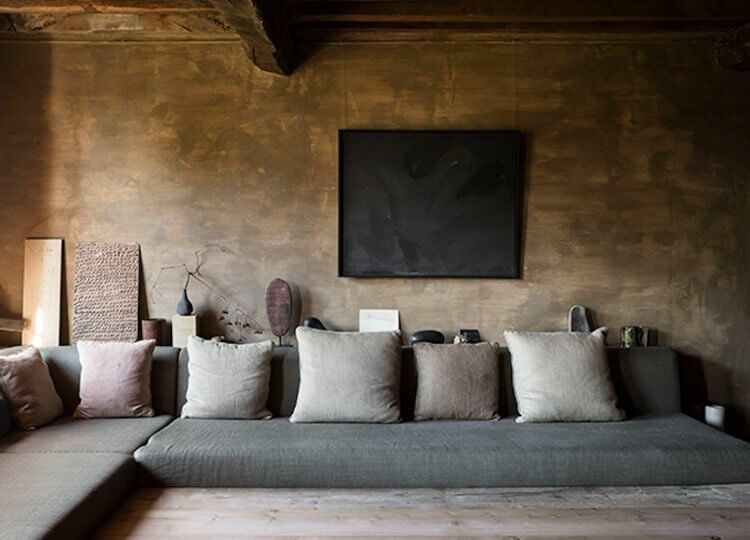 With clean lines and natural materials reminiscent of a Japanese or Nordic bathhouse, this is a daily wellness ritual we could certainly get comfortable with. 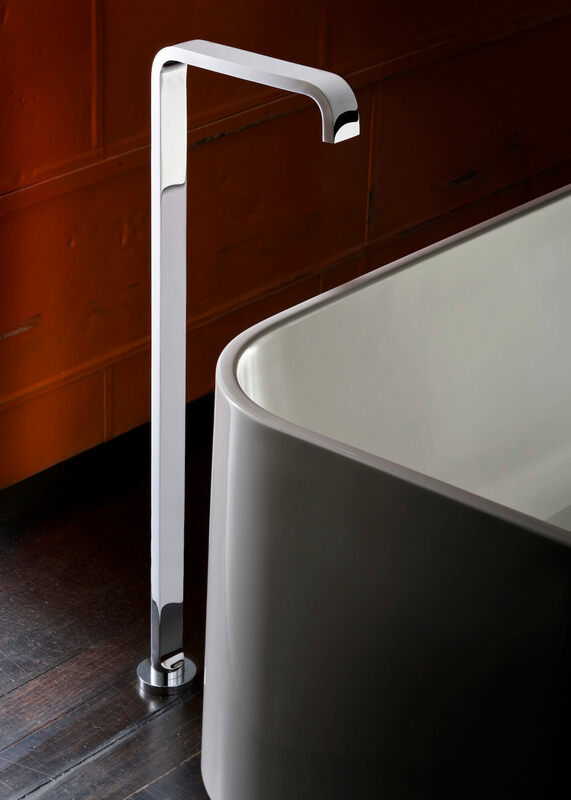 If you’re going to feature a striking standalone bath like the Sublime, let the tapware continue the luxury aesthetic. The simple yet stylish Pinch floor mount outlet is a timeless piece, its elongated form easy to mix with different shapes and sure to add an extra sense of elegance to your bathroom sanctuary.